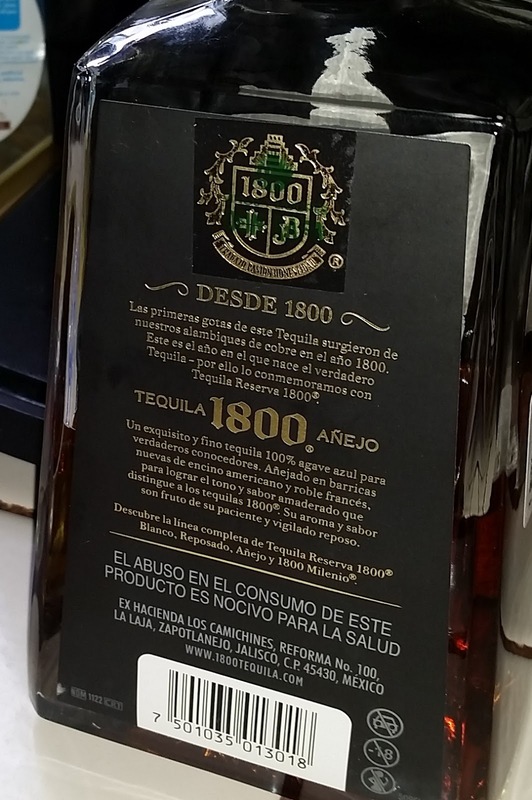 1800 Añejo - AoM: Beer et al. 2. It has a nice smell. I remember this one time I smelled some cheap tequilla and it was painfully harsh on my nose. 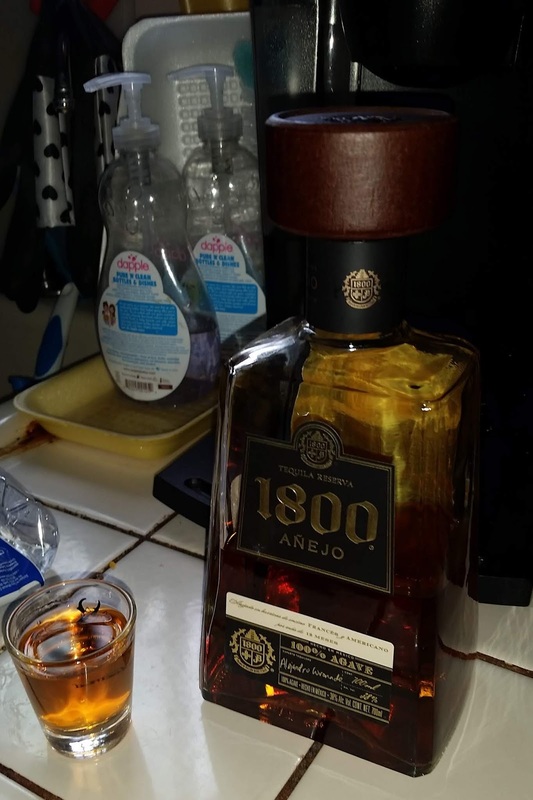 The taste was like the first shot: warm, sweet, smooth. In particular, there's no burning sensation in the throat. *Each shot is roughly the equivalent of one beer (0.57 ounces of alcohol). I had the four shots in under an hour. Normally, a better, slower pace would be at most two drinks an hour, at most six drinks in twenty-four hours. I can exceed these estimates, but I would begin to risk feeling sick and/or vomiting.